Your morning cleanse should be as gentle as possible. All too often harsh cleansing regimes dry out skin and cause irritation and inflammation. This simple routine will ensure all night treatment residue is removed and that your skin is cleansed, refreshed and ready for the day. Best of all it's so, so quick! 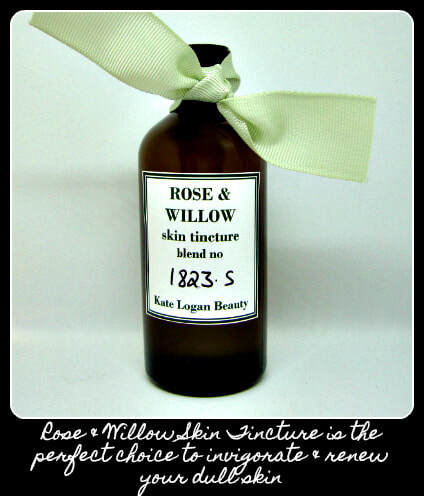 Simply fill a basin with warm water and add 20 drops of Rose Skin Tincture. Soak a clean, cotton flannel (no muslin cloths please, they can be far too scratchy and irritating on skin) in the water, wring out and place the flannel over your face & neck for about 10 seconds. This simple step will warm up your skin, stimulate circulation and attract any skin debris to the flannel. Rinse & wring out the flannel. Fold the flannel into a small rectangle then covering one section of skin at a time gently press flannel into skin, roll and release. Repeat this action around face & neck. Finally splash face & neck for 30 seconds and pat your skin dry with a soft, fluffy towel (keep your own separate towel especially for skincare). DO NOT share a towel or use any old towel that's just hanging around! See, it's incredibly simple but really effective, so make your cleansing routine a real ritual and a spirited start to the day.